So you’re looking to relocate and you’ve applied for a job in Dublin? – GREAT! But… now what? Here are the answers to some of the questions you’re probably asking ahead of moving to Dublin. 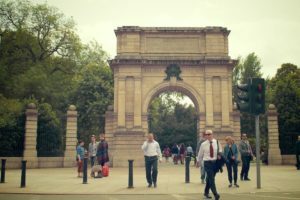 This is the first chapter in a series of articles hoping to make your move to Dublin easier and achievable. 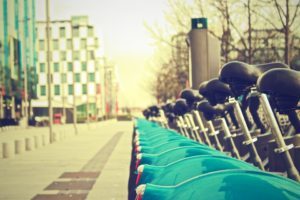 How do I get around Dublin? No car? Scared by driving on the left side of the road? No problem! You can walk! Dublin city centre is conveniently made for walking, and in many ways is easier to get around without a car. You’d be surprised by how quickly you can walk to most things in city centre. And when the sun is shining, it’s a very pleasant way to see the city. Just throw on a pair of runners and walk around the city! Things to keep in mind: Most pedestrians don’t wait at red lights or cross in designated crossing areas. Pedestrians have the right of way- and will utilize it. Always use caution when crossing busy streets. LUAS city tram system that runs on the street. DART rail system running from the city suburbs through the city centre. Commuter trains between main cities and towns. Dublin Bus services around Dublin city and Dublin county. Dublin Nitelink bus services that run after the trains stop. Things to keep in mind: Besides the Nitelink, most public transportation stops running around 23:30. Make sure you pay attention to your specific station’s schedule. And if it’s raining, prepare for crowds. 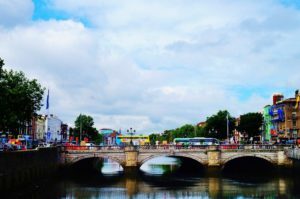 Read our article on Irish culture to learn about some public transportation surprises in Dublin. If using any of the above public transportation, it is highly advisable to purchase a Leap Card ticket. Not only are they convenient refillable fare cards, but they also offer discounts on extended use. 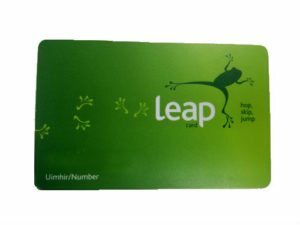 All of the transportation listed above can use the Leap Card, and the cards are valid for use across Dublin, Cork, Galway, Limerick, and Waterford. From the Leap Card app you can add funds, and even track your card balance. 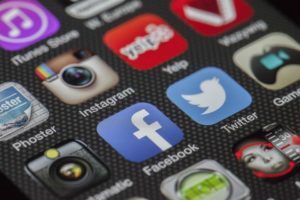 Apps like Google Maps and Moovit have timetables for public transportation, travel updates, fare information, and route planning. 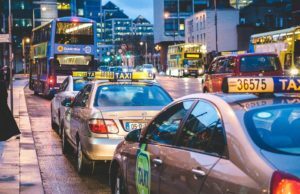 All you need to know about getting around Dublin is right at your fingertips. Things to keep in mind: Most pubs and cafes have free wifi- take advantage of this to save your data and plan your routes! 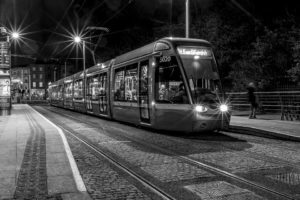 In Dublin, most public transportation stops running around 23:30, but that doesn’t mean you can’t get home! Traditional taxis roam around the city and are relatively affordable. And cab drivers can often be a wealth of knowledge for the city. If your driver is chatty and knowledgeable, it can be an incredibly in-depth history lesson for the area you’re driving through. And with apps like MyTaxi or Uber you can call the closest taxi or book a taxi beforehand. Things to keep in mind: Sometimes a traditional taxi can be cheaper and faster than Uber, and sometimes it’s the other way around. Make sure you compare prices before you make a decision. Don’t want to buy your own set of wheels? You can instead use this bike sharing program that is found throughout the city. Simply borrow a bike for your journey and return it to one of the stations whenever you’ve finished. The first 30 minutes are free, and most things in the city are close enough to advantage of that- but if you want to have a yearly subscription it’s a bargain at only €25. Things to keep in mind: Biking around the city is a great way to familiarize yourself with your surroundings, and can be much faster than walking. Sometimes it’s even faster than public transportation! For a unique way to travel around the city centre, take a horse! 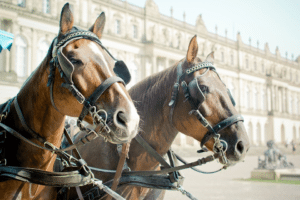 What better way to make a memorable first impression on your first day of work, than by showing up in a horse-drawn carriage? You may not use it all the time for your daily commute, (although what better way to sit in traffic than in a horse-drawn carriage), but it’s certainly a unique way to see the city! Most carriages can be picked up by St. Stephen’s Green near Grafton Street.Yes, you read that right! Whatever way you choose to travel in Dublin, make sure you make time to enjoy your journey and look at all the greenery and flowers that Ireland has to offer! 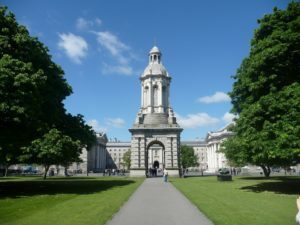 Take a longer walk and pass through historical sights like Trinity College, or parks like Stephen’s Green. Take a look at all the history and gardens along your way. Irish people take pride in their green thumbs, and they really make the city colorful. In the next chapter of this guide for moving to Dublin, we’ll be discussing finding accommodation in Dublin.